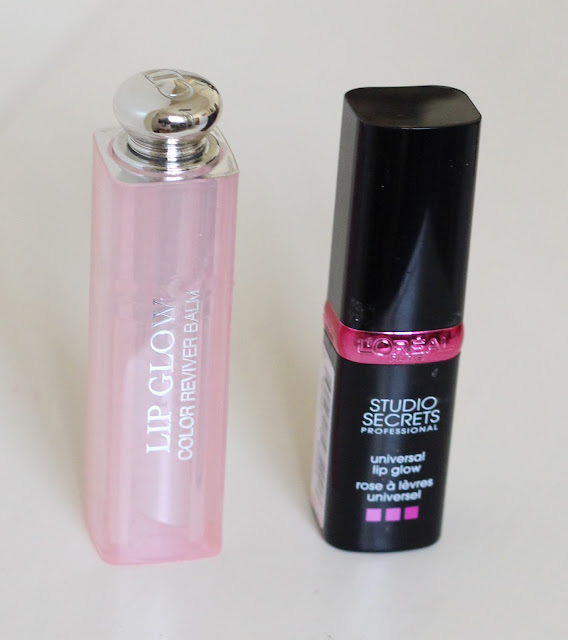 Thinking this was an original product until I stumbled into boots one day and found a L'Oreal Lip Glow! So which did I prefer? The L'Oreal version has a sort of jelly transparent stick that produces a light layer of colour on my lips with a slight glow, perfect for that no makeup 'my lips naturally look like this' look. Whereas Dior has a thicker texture and a more glossy finish. As I like a more glossy lip look I would say I prefer Dior Lip Glow, however if you're more of a natural makeup girl then L'Oreal is for you! LOreal Paris Studio Secrets Universal Lip Glow is £8.49 and available here. Dior Addict Lip Glow Colour Awakening Lipbalm is £21.00 and available here or at most Dior counters.